New range in Aldi. 99p a bottle. Got one of everything to see which I like. I shall stick up for Christmas if there’s a belter in here. This is the first. 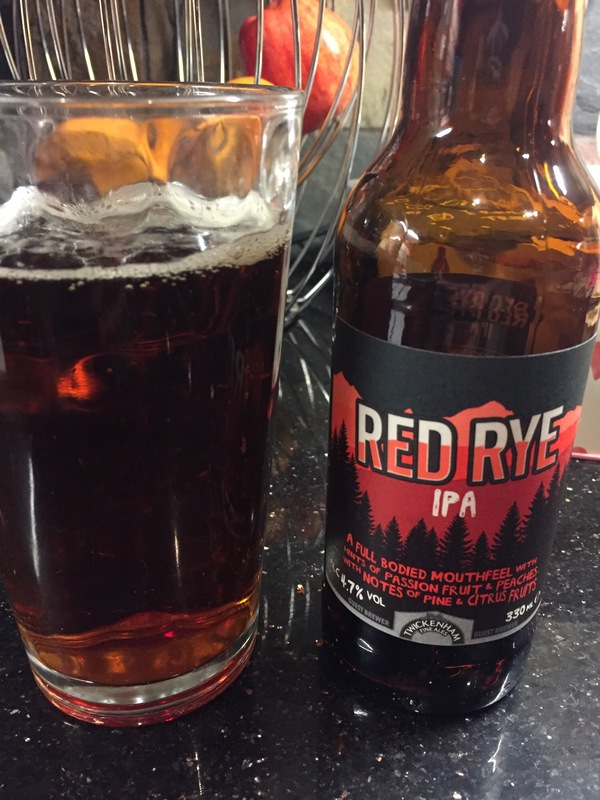 I love a good Rye beer. Probably because my local brewery won the Rye of the year award. So this has some work to do. Pours with a treacle colouring and minimal head. The taste is a let down. Watery and a nasty mix of bitter and sour. It’s not great at all. Probably after a couple would grow on you. Got a bit of spice. That I like. Think this possibly would make a backup. It’s got a lovely after burp to it! This entry was posted in beers and tagged red, rye, twickenham. Bookmark the permalink.